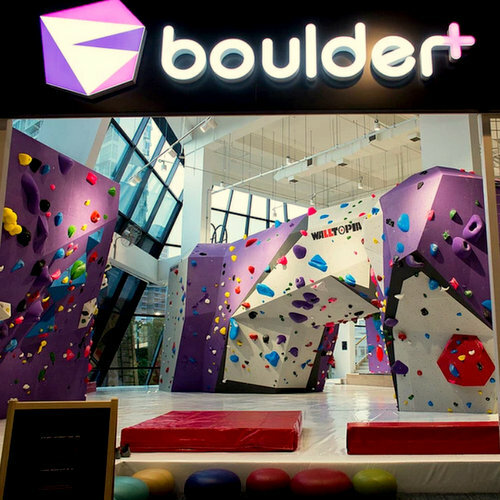 Indoor climbing gym Boulder+ Climbing is located within Singapore’s Aperia Mall, at 12 Kallang Avenue. The popular climbing gym has a range of custom built features by Walltopia, the world’s leading wall manufacturer, such as an arch, topout boulders, and a mega 60° overhang. Facilities within the climbing gym include clean and comfy shower facilities (with hot water), a lounging area for taking a break, shelves to keep your personal belongings, plus free parking at Aperia Mall 6:30pm-10pm on weekdays and for the first 3 hours on weekends. The official Boulder+ Climbing Facebook page is located at www.facebook.com/boulderPlusClimbing/. You can also follow the climbing gym’s official Instagram account, which in turn is available at www.instagram.com/boulder_plus/.